Bella & Grace is a Bristol based jewellery company founded by Aimee Speakman. Aimee combined her passion for beautiful Jewellery and love for creating unique gifts for special people, and created this stylish on-line boutique. The name Bella & Grace was chosen to convey the Beauty and Elegance of the collections. My Bella & Grace locket arrived beautifully gift wrapped. I couldn’t wait to open it. Lockets are beautifully boxed and finished with ribbon. You can choose from a range of Charm Pendant Necklaces, Complete Charm Lockets or a Create Your Own Charm Locket. I chose to create my own locket. I’ve had a fascination with lockets and charm bracelets from a young age, I used to love opening up my Nanny’s Gold Locket and seeing the treasured photos inside. I also remember going to our local jewellers with my mum to choose a new charm for my charm bracelet that I have had since birth. To me, these create your own charm lockets combine the beauty of both of these treasured pieces of jewellery. I first chose the type of locket. I went for the Large Vintage Silver Charm Locket. It can fit seven to ten charms inside depending on their size. It is easy to open to see or change your charms, but closes securely as it features a strong magnet. Your charms are kept safe inside whilst you are wearing or storing your necklace. Next I chose my charms. I have six to start with. They look so pretty inside the locket and all mean so much to me. I’m so glad it is easy to open the locket as I already have two more charms I would like to buy- Angel Wings to represent my Dad and the Comedy Tragedy Charm to represent my love of the theatre. The charms I already have all represent something or someone important to me and their official meanings were all written in the gift card too- such a nice touch. Lastly I chose the chain. I thought that the Silver Ball Chain went well with the silver locket. You can also go on to choose Dangles to hang from your charm locket if you wish, but for me, my locket was complete. I put it on straight away (hence the quick, early morning no make-up photos-sorry!) and kept it on all day as it feels like my “special necklace” already. It’s wearable, aesthetically pleasing and has so much meaning because of the personal individual charms. These make such lovely attentive gifts for special people in your life and you can then keep adding charms for special occasions. The charms are just £5 each, so an affordable price for such long lasting jewellery. I’d love to start a keepsake charm locket for each of my children. A charm locket would make a thoughtful Valentine’s or Mother’s Day gift. Do you have/would you like a charm locket? Which charms would you choose? 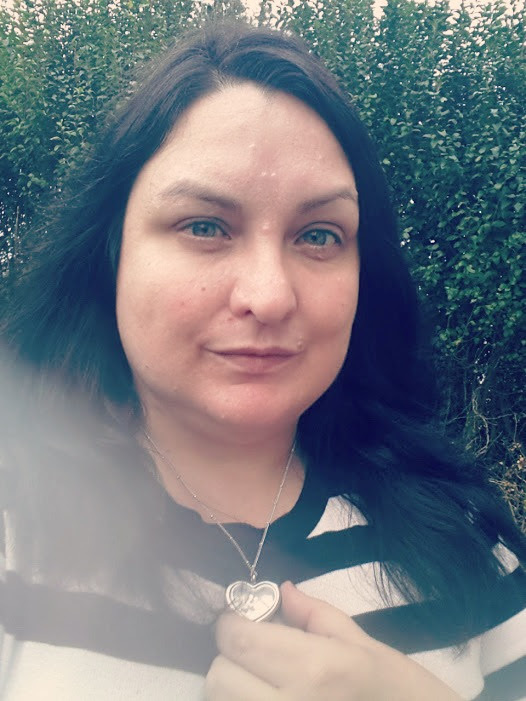 I was sent this locket for purposes of this review.